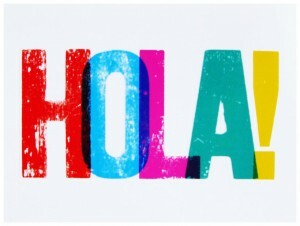 Course Overview : This course will help students develop their ability to understand simple spoken and written Spanish. At the same time, they will learn to communicate orally and in writing in a culturally appropriate manner about familiar topics that include self, school, food, pastimes, family, house, and clothing. Grammar will be integrated throughout the units. I will do my best to allow for different techniques and lesson plans in the classroom that will proide excitement and ease when learning Spanish. 5th through 8th Grade: Grades 5th through 8th will be using Realidades. Each student will have access to their Realidades textbook online at www.peasonrealize.com. Quizzes and Tests : Quizzes will be administered after each section. At the end of the unit, a test will be administered. Quizzes and tests will be returned after all students take the quiz or test. My Grading Policy, Discipline Policy, and Class Participation Rubric can be accessed on my Teacher’s Page. The Grading and Discpline Policy is addressed in the “Class Cooperation Plan”. Please check my website to stay updated on classroom activities and homework assignments. Feel free to email me if you have any questions at iramirez@sttaob.com . I look forward to learning and laughing with you!